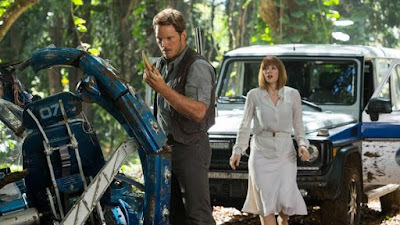 Jared Unzipped: Jurassic World Review - Plenty of Dinosaurs, Too Many People. Jurassic World Review - Plenty of Dinosaurs, Too Many People. The following is a spoiler-free review of Jurassic World. I will allude to certain events without directly detailing them. You read at your own risk. I sat down to watch the fairly streamlined two hour summer blockbuster that is Jurassic World yesterday. I've had a reasonable amount of eagerness to see the film -- I'm a lifelong nut for dinosaurs. Certainly, I didn't expect the film to surpass the magic of the original Jurassic Park, but I did expect it to quench my dino-thirst. It certainly did that, though... there just seemed to be a few too many characters involved in the plot. Less people, more dinosaurs -- that's an equation that always works. What did I like about Jurassic World? First off, I appreciate the diverse range of dinosaurs presented in the film. That's probably the biggest issue I had with previous movies in the Jurassic Park series. I can only look at a Tyrannosaurus rex or a Velociraptor so many times before I feel like I'm being beaten over the head with them. It has become blatantly obvious that those are the two favorite dinosaurs of the franchise stewards. When in doubt, add more raptors! I don't think this always works, considering how one-dimensional the raptors have been presented in the past. With Jurassic World, at least the raptors get some actual character development. I can respect that! Also, I finally saw an ankylosaurus on film. Hurrah, my favorite dinosaur! I really hate these 3-D jigsaw puzzles. I did like lead star Chris Pratt in this film. His charming character Owen Grady basically shepherds the plot along from point A to point B. He's the audience's tour guide, channeling the viewers through the rip-roaring events of the movie. There's just something likable about Pratt -- he's a modern day Tom Selleck or Harrison Ford. The classic archetype of a strong yet humble, funny yet dangerous alpha male is something cinema has portrayed since the silent era. Pratt is another prime example. He'll have a long and successful film career, barring any personal catastrophes. Kudos to Mr. Pratt. We're certainly all eager to see him in his next film, as well as in the obvious Jurassic World sequel that'll be coming in the future (Jurassic Wars?). There are scenes of violence in this film, but I was very thankful in how they were presented. I am not a fan of gore in movies, simply because it makes me uncomfortable. There is some human-munching that takes place, but it's filmed in such a way that you don't actually see it. There are lots of cutaways and scenes of blood being splattered on windows. Jurassic World smartly leaves the violent horror to the viewer's imagination. Finally, I liked the ending sequence. I won't give away any details, but it's a jarring spectacle that reminded me of the best entries in the long-running Godzilla series. This was a titanic tussle that won't soon be forgotten. I'm usually a fan of practical special effects being used in movies, but there's some fantastic CGI employed here (and throughout the film, for that matter) that looks extremely real. So... what didn't I like about Jurassic World? There were way too many characters in this movie. Maybe it's because the theme park was fully operational and loaded with guests; I'm not quite sure. Many of the secondary characters simply didn't serve a purpose other than to be eventually turned into a dinosaur's lunch. Other characters had a handful of lines, but even then not amounting to much of anything in importance. Jake Johnson, of New Girl and Let's Be Cops fame, is severely under-used as tech operator Lowery Cruthers. As a source of comic relief, that man could make Lucifer giggle like a school girl. He needed more involvement in the plot, that's for damn sure. Perhaps we'll see him in a sequel (that's a hint to the producers -- put him in the eventual sequel!). I'm going as Ellen Ripley for Halloween. Of course, much of the plot involves finding two teenage boys lost in the park. I found this to be the most boring aspect of the movie. They were painfully employed as MacGuffins. 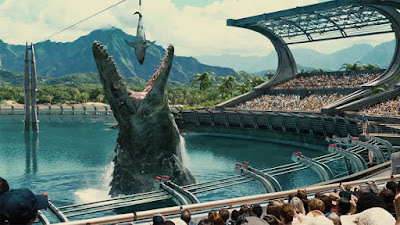 Jurassic World could have easily existed without their presence in the movie. In pursuit of these two boys is their aunt, portrayed by Bryce Dallas Howard. She stars as Claire Dearing, the operations director of the Jurassic World theme park. What annoyed me the most about her character was her total abandonment of her position and inability to lead any sort of reasonable evacuation operation. It'll make you wonder how she got the job in the first place. That's not to say I didn't like her character as a whole, but the leaps in her personality didn't make much sense to me. 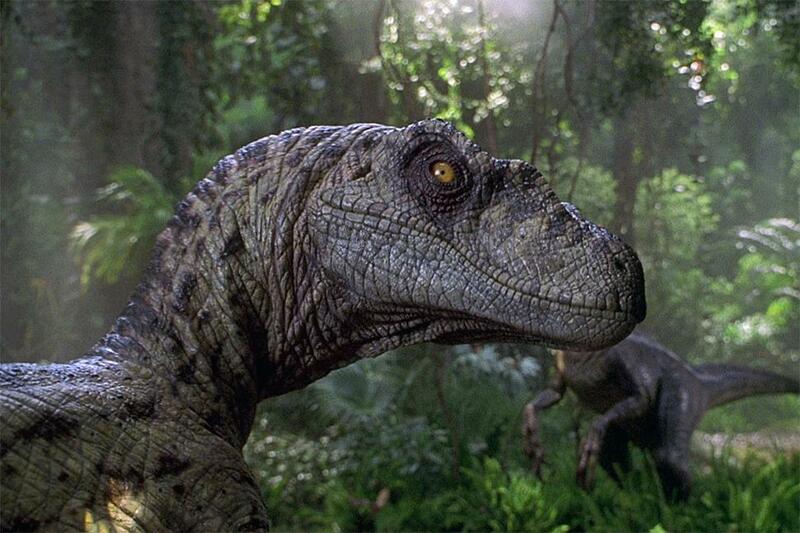 Troubling to me was some of the portrayals of the dinosaurs, specifically in how they would have looked or acted. I can't say much here without spoiling plot points, but you'll notice it throughout the movie. The dino science involved was a little wonky, to say the least. Overall, I liked Jurassic World. It's great to see the Jurassic Park franchise, which sat unused for far too many years, continue on. The ending leaves open so many possibilities for future iterations in the series. I can easily imagine a sequel being similar to the old Dino Riders toy series (you '80s kids out there will immediately know what I'm talking about). The movie isn't perfect, but I didn't expect it to be. It's basically a flick about dinosaurs breaking out of a zoo -- so perfect never enters into the equation. There are worse ways to spend two hours at a cineplex. Parents -- you should be able to take your children to Jurassic World without them being scared too much. The on-screen violence is minimal. Jurassic World gets the Jared Unzipped Seal of Approval!